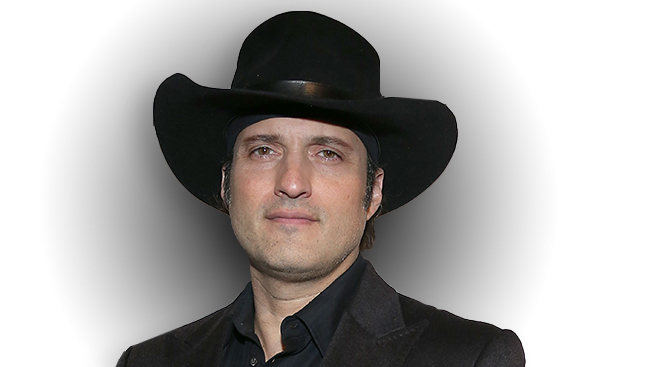 Failure has been key to Robert Rodriguez's success. Rodriguez, a filmmaker who's now chairman of his own cable TV network, El Rey, said some of his best ideas for movies came on the sets of films that turned out to be flops—either critically or at the box office. He spoke today at the 4A's Transformation conference in Austin, Texas. While filming his segment for the anthology movie Four Rooms, for example, he thought, wouldn't it be interesting if two kids in a family were spies? That notion later evolved into Spy Kids, a popular movie franchise. Likewise, Rodriguez's fake trailer for Grindhouse, Machete, gave rise to two Machete movies and even influenced a popular ad on this year's Super Bowl: the Snickers spot featuring Danny Trejo's character from Machete. Rodriguez's point? If he had wallowed in his failures, he wouldn't have been open to the ideas that came out of them. In other words, ego would have drowned out inspiration, which can come at any time and often when you least expect it. "Creativity kind of flows through you, and if you block with your ego or think that you're actually doing it, then you're very limited," Rodriguez said. "Creativity is available to everyone, and it can come through you if you just don't doubt [yourself], worry or think, 'Hmmm, how am I going to do that?' It's not you to begin with. You've got to step out of the way and magic can happen." Elaborating on that point, Rodriguez said that "you're always trying to get back to that place where you're a great conduit to creativity rather than thinking you have to do it yourself." Also, don't worry if you're unsure of yourself: It just means you're a creative person, according to Rodriguez. He made that point after The Hollywood Reporter's Stacey Wilson Hunt asked him about the biggest mistake that creative people early in their careers. "They think that the self-doubt, the worry, the failures [in] putting themselves out there means they're not a good artist," Rodriguez said. "But I read a really good book that I always try to recommend. It's a real thin, little book. It has two really great stories in it. It's called Art & Fear, and it says this is you as an artist: 'I'm no good, I'll never be able to do it again, they're about to find me out, I can't repeat what I just did.' So, if you think like this, you're an artist because that's what all artists think."